The Prophet taught that loyalty towards one’s country of residence is an essential part of one’s faith. What better way to demonstrate this loyalty than to help those who have fought for it? 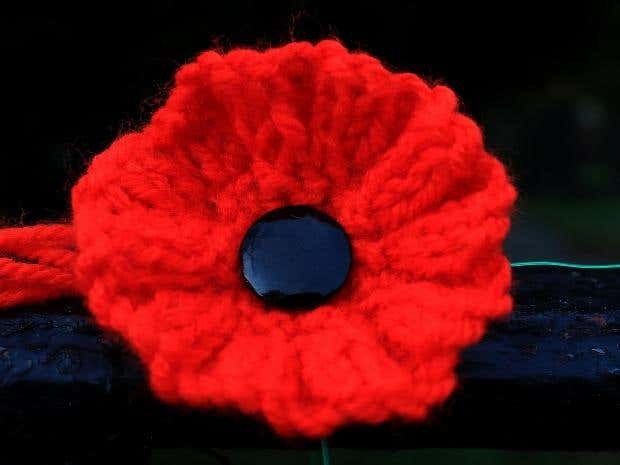 Each year, when the Poppy Appeal is launched, a raging debate ensues regarding the true meaning and symbolism of the poppy and whether – given modern circumstances – it is right or moral to wear it. Some claim that to wear the poppy implies a tacit approval of British foreign policy, including Western foreign interventions of the past decade. Many Muslims, even of an otherwise moderate religious disposition, regard supporting the Poppy Appeal as a betrayal of their fellow Muslims who have been killed or displaced as a result of recent military conflicts. 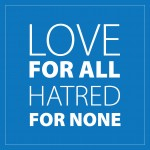 As a young British Muslim, I look to the example of the Prophet Muhammad to help me in cases of moral dilemma. And on this issue, I believe that he would have supported the Poppy Appeal. Why? Because the time of remembrance is not representative of a particular political mindset; rather, it reflects the silence that marked the cessation of hostilities after the First World War – the silence of peace after a catastrophic global conflict. The money raised by the Royal British Legion (RBL) does not go to buy arms or weapons, but to help those in the military and their families. The Poppy Appeal is not about politics, but about people. And helping people in need was exactly what the founder of Islam taught and practised. The Prophet taught that loyalty towards ones country of residence is an essential part of one’s faith. What better way to demonstrate this loyalty than to help those who have fought for it? The soldiers that are helped by the RBL are mainly ordinary men and women serving their country. If unjust wars have been declared and fought by our Government over recent years, it is not the servicemen or women that are to blame. The role of a soldier is not to make complex political decisions, but simply to follow orders and defend their nation. Soldiers cannot be held accountable for the transgressions of their governments. Even if, hypothetically, British soldiers were in some way culpable for the death of Muslims around the world, the example of the Prophet suggests that the Poppy Appeal should still be a cause worth supporting. Muhammad was known for helping wounded enemy soldiers, even during the heat of battle. With regards to prisoners of war, he was careful to treat them as well he treated members of his own family, and freed them at the earliest prudent opportunity. Even if a Muslim wrongfully considers British soldiers as the enemy of peace, or the enemy of his fellow Muslims around the world, the Prophet’s forgiving and chivalrous example tells us that a human life is always worth saving. Therefore, if Islam teaches that one should maintain ones morals and strive for peace even during the heat of battle, there appears no scope for refusing to help the RBL in raising money to help British soldiers and their families, even if one disagrees with their actions on the battlefield. As a member of the Ahmadiyya Muslim Youth Association, each year I see our members sacrificing their days, taking to high streets, rail stations, airports and stadiums across the UK to sell poppies. Over the past 10 years, the organisation has raised over £200,000 for the RBL. The zeal of these young volunteers is encouraged by their guiding force: the worldwide head of the Ahmadiyya Muslim Community, Mirza Masroor Ahmad, who conveys the regular message that “honouring those who fought to defend and safeguard one’s country is an important principle of Islam and in fact is an important principle of peace”. There is a similarity between the message of the poppy and the message of the Prophet. Both are perverted for material gain, politicised to create disorder and division. Yet both messages, at their core, are about helping humanity when in need, providing shelter and support for the most vulnerable, seeking to respect, protect, and celebrate life – rather than destroy it. I am a young British Muslim, and I will be wearing a poppy: not in spite of the values of my faith, but directly because of them.